Fortify your skin with our Ultimate Nourishment Collection. 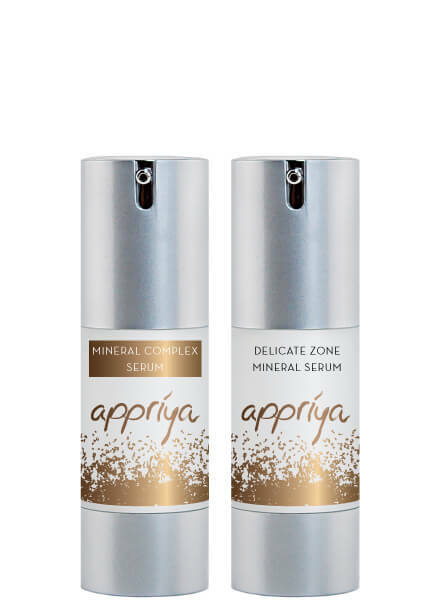 This collection consists of our Delicate Zone Mineral Serum and Mineral Complex Serum. This radiant duo helps smooth away fine lines and wrinkles and hydrates your skin with ultimate moisture. 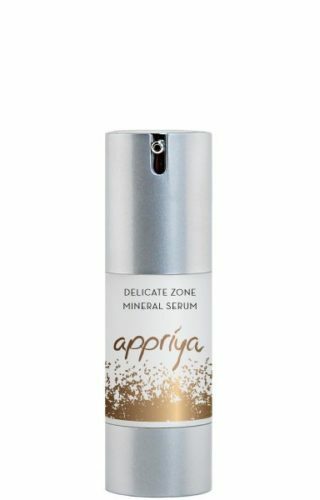 Gently and evenly brush on one pump of our Delicate Zone Mineral Serum around the eyes, neck and décolleté, applying light pressure with your ring finger. 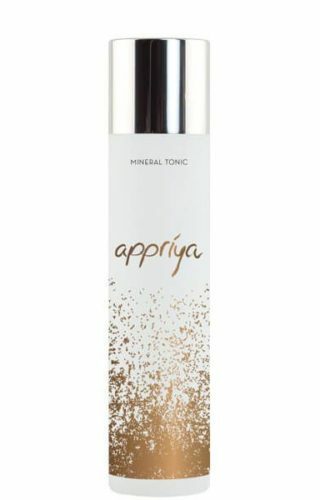 Follow by applying Appriya Mineral Complex Serum in a circular motion on the face and neck during your day and night skin care regimen for a moisturized, youthful looking skin. 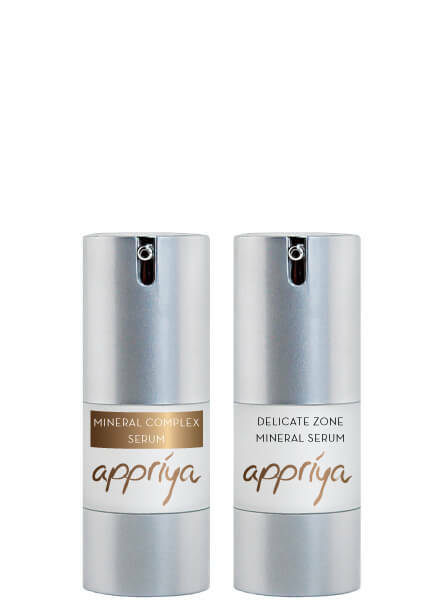 Finish with protective Appriya Comprehensive Mineral Day & Night Cream.